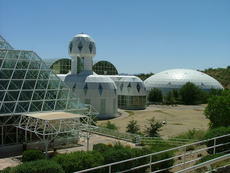 Biosphere 2 is a center for learning and teaching about Earth and its living systems, with real-time research on the future of our planet as it unfolds in this specially designed mini-world. Along with researchers at other institutions, the SAHRA (Sustainability of semi-Arid Hydrology and Riparian Areas) scientists and educators at Biosphere 2 are exploring what life will be like in the Anthropocene—an earth epoch in which humans are the dominant agents of change on our planet. 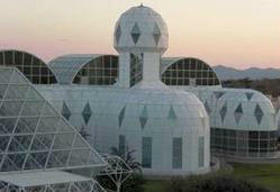 People are using the controlled environments of Biosphere 2’s giant terrarium to study how Earth’s interconnected systems (soil, water, plants) will respond to a changing climate. Visitors to the facility can walk through active experimental plots, interact with “field” scientists, and learn about energy and water sustainability. Want the latest water news from around the world? Try the Global Water News Watch.